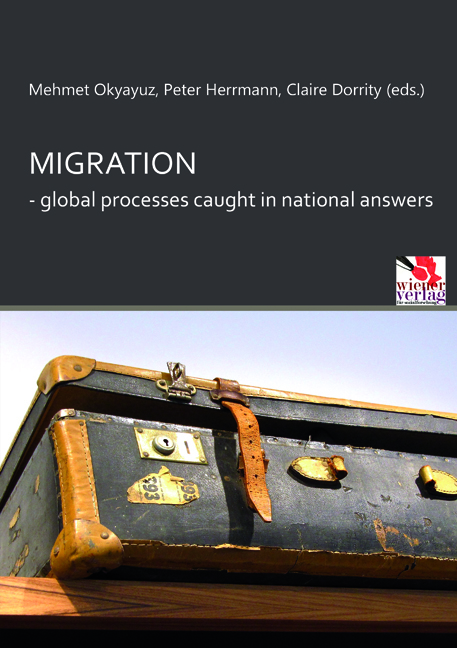 The volume brings together contributions that reflect on issues about migration in terms of the countries of immigration: ways of “reception“. It is underlined in all contributions that effective humanitarian legislation can only be implemented together with a deep understanding of the problems faced by refugees/asylum seekers and the social relations that determine their position in society. Mehmet Okyayuz, grown up in Gemany, studied political science, philosophy and sociology in Paris, Berlin and Heidelberg. MA from Heidelberg and Doctorate in Marburg. Since 1995 he is teaching at ODTU in Ankara, focusing on political theory, history of labour movement, policy analysis and migration. Peter Herrmann, Dr. phil (Bremen, Germany), Studies in Sociology (Bielefeld, Germany), Economics (Hamburg, Germany), Political Science (Leipzig, Germany) and Social Policy and Philosophy (Bremen, Germany), is currently academic director at the European Observatory on Social Quality (EOSQ at EURISPES), Rome, Italy, adjunct professor at the University of Eastern Finland (UEF), Department of Social Sciences (Kuopio, Finland) and associate honorary professor at Corvinus University (Budapest, Hungary). Claire Dorrity comes from a background in Nursing and Social Care. She completed her Bachelor of Social Science degree at University College Cork (UCC) in 2001. She is currently working as a lecturer in School of Applied Social Studies, UCC where she is also undertaking her PhD. Claire is also the Nursing Studies Co-ordinator in the School of Applied Social Studies and also contributes to teaching on the BSW programme.